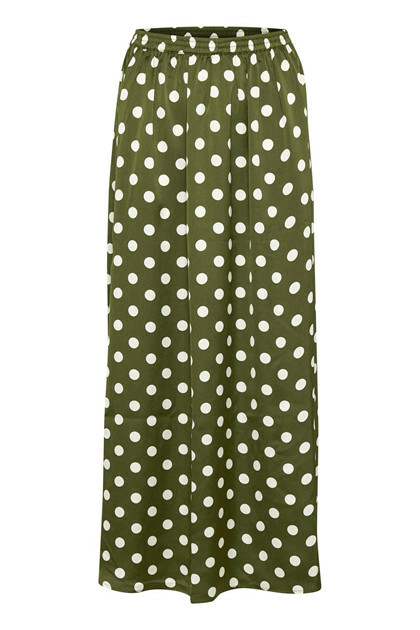 Spot-on trendy dotted skirt from Culture. 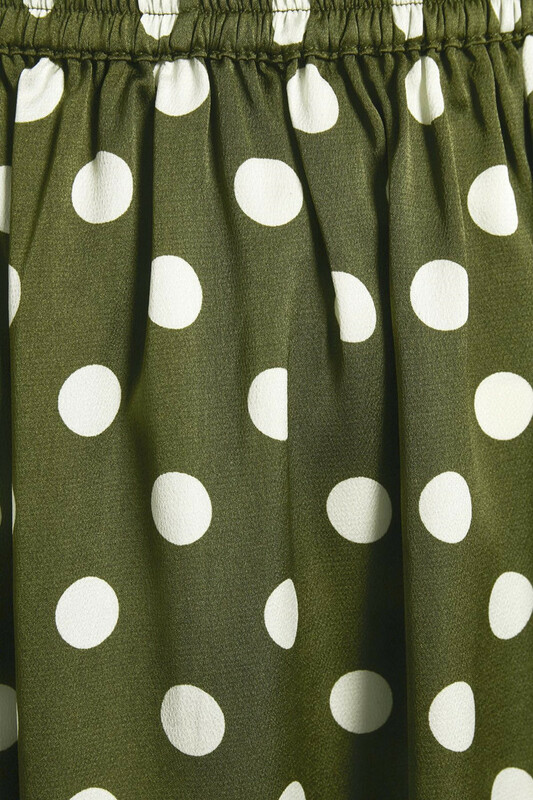 The skirt is long and has an elastic waistband. The fashionable maxi skirt is very comfortable to wear, and it is suitable for both everyday use and party occasions. 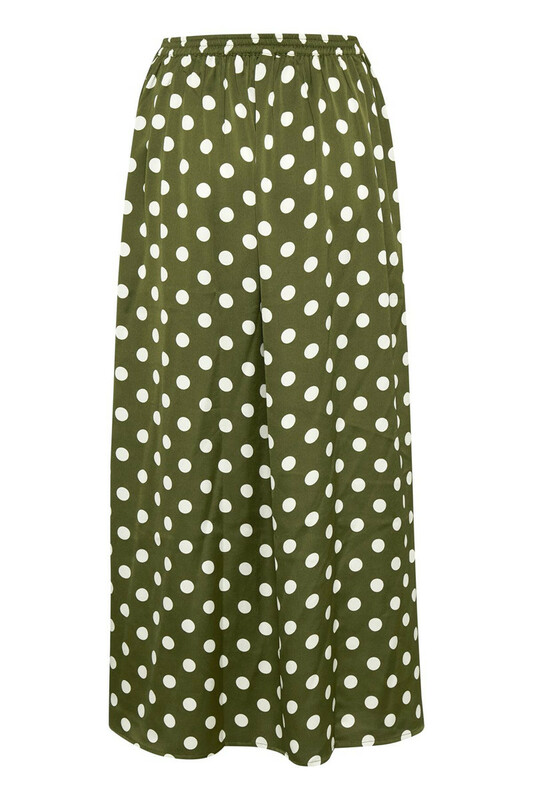 It has this very popular and pleasant max length and has a long slit on the left side for better movement. It's easy to style with a T-shirt for an everyday look and a stylish silk top for a perfect summer party look.